Who knows you better than your best friend? Probably Google. 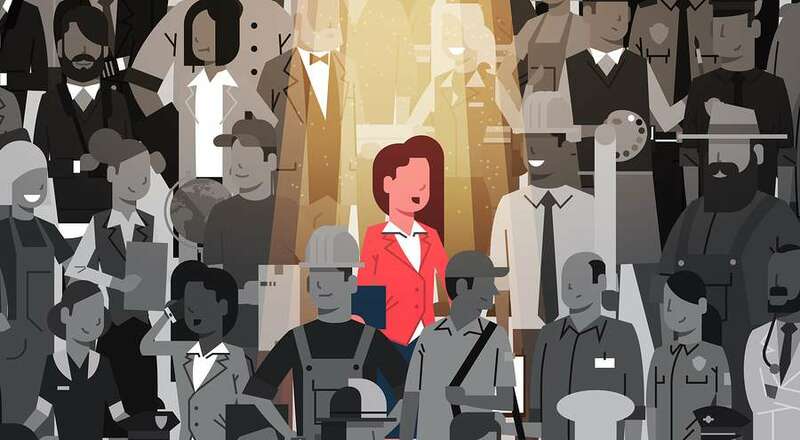 Any other information the search engine has available that helps them to discern the preferences that might affect what this searcher wants to see in their results. A transcript is given below for those of you who’d prefer to skim text. Hi there. 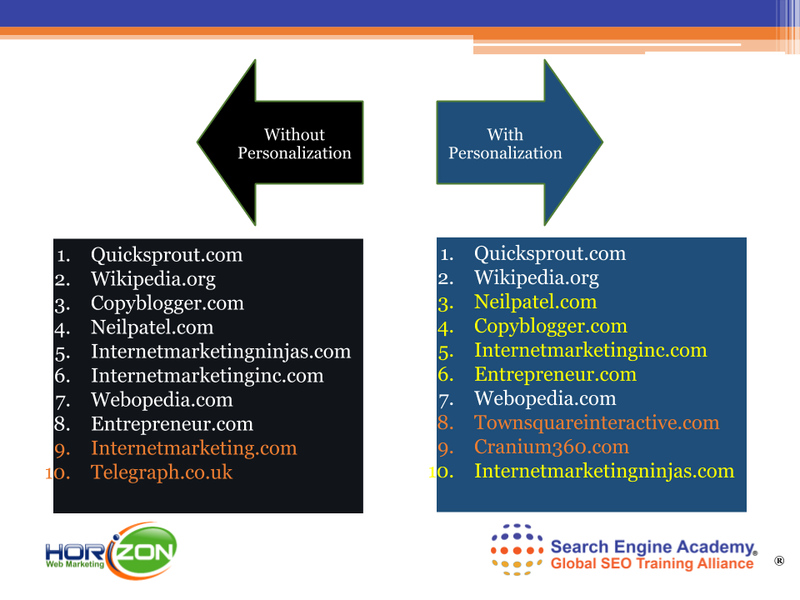 I’m Ross Barefoot with the Horizon Web Marketing Academy, and I’m going to take about five minutes today and discuss a topic called personalization of search. You may not have heard of this term before, but whether you have heard of it or not, it’s something that affects you every time you conduct a search. It also affects to whom and where your website appears in search results. Let’s take a moment and break this concept down. First, I’ll tell you how it works. It’s pretty simple, really. You conduct a search. Based on the query that you enter to the search bar, the search engine, whether it’s Google or Bing, is going to find the most relevant websites, and then it’s going to give you the most relevant of those at the top of the search results, and the next most relevant in second place, and so on and so forth. What then happens nowadays is that a search engine applies something called a personalization filter. Both this collection of results and the filter are things that occur before you see anything. It happens behind the scene in just a fraction of a second while you’re waiting for your search results to appear. Then finally, the search engine will show you search results after it’s applied this personalization filter. These results are ones that the search engine thinks are more personal to you based on your preferences and what you want to see. You may see a different order or results, sometimes even a different set of results than what the search engine collected when it didn’t know anything about you or at least wasn’t trying to give you results that were personal to you. The results on the left, Google refers to as verbatim results. The ones on the right are ones that have been personalized. Here’s an example from a search that I conducted for internet marketing [see below]. The results on the left are without personalization. The ones on the right are with personalization. Here is what those results look like. There’s not huge difference, but you can see the yellow highlighted results on the right appear in a different position in the personalized results than they would’ve appeared in the non-personalized results. Then you’ll notice those two results in orange. On the left, the 9 and 10 results drop out entirely when the results are personalized, and they’ve been replaced by two websites based on the fact that those two websites belong to businesses that are in the city in which I live. This is basically the way personalization works. What are the factors that relate to this? First of all, location affects which results you see. Secondly, the device you’re using, whether it’s mobile, or a desktop, or a tablet, and then also your browsing history is going to affect the results that you see. What websites have you shown a preference for in the past? Then finally, everything else a search engine might know from your use of all their products. 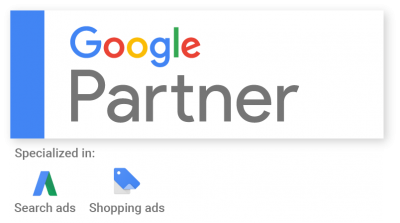 Of course, when it comes to Google, there are a lot of products out there where you log into with your Google ID, and it gives Google a clue as to things you like and what you want to see. They’re always trying to give you what you want to see. Search engines will even use occasionally your social media profile and your activity in order to determine what results are best for you. The implication of all of this is that there’s no such thing as a number one or even a page one results anymore because the results are going to vary from person to person. That’s why it’s so hollow really when some SEO company comes to you and guarantees you a number one result. There’s really no way they can do that nowadays. Also, it means that rank tracking tools, in other words services that will go out and track your position for any given number of keyword choices, they also are going to give you results that are maybe good for that tool but doesn’t necessarily indicate that those results are going to be the ones that your customers are going to see. Rank tracking tools have limited value, usually only a comparative value. In other words, they can show whether you’re improving or declining over time. It also means that checking your own position by googling your own keywords has very limited value as well because Google is going to show your website typically higher up than it would’ve been anyway since they know you prefer your own website. Therefore, you need to find better ways of determining whether your search engine optimization program is working. 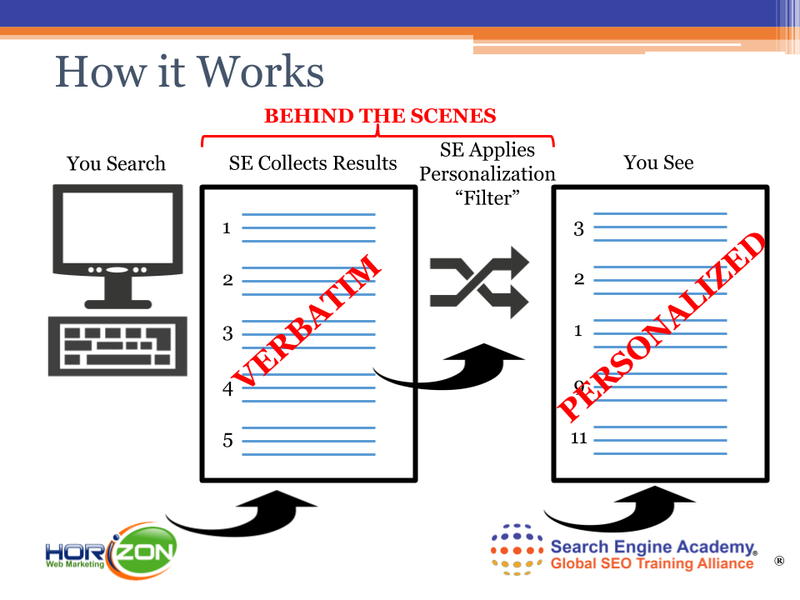 You can learn more about this type of thing, and not just personalization of search but what to do about it, how to overcome it, by taking one of our SEO courses. You can also follow our blog, which is no charge, of course. 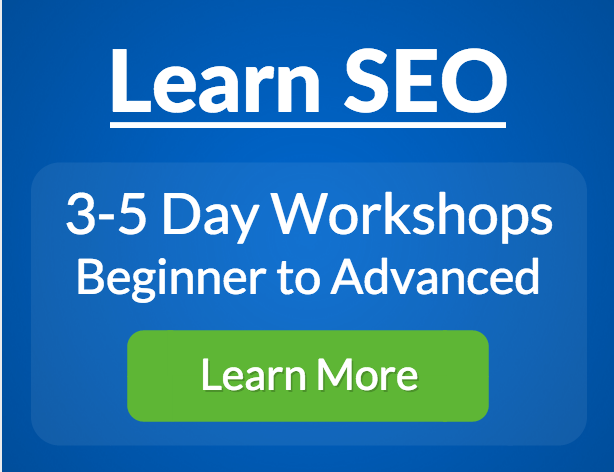 You can also sign up for our free newsletter giving you SEO tips. The one thing that you can do where you’re willing to spend some money is you can also hire us for a consultation. All of these options are available if you go to horizonwebmarketing.com. Again, this has been Ross Barefoot with Horizon Web Marketing and the Horizon Web Marketing Academy. Just so you know, we’re a licensed affiliate of the Search Engine Academy, which has been teaching SEO skills for 14 years.